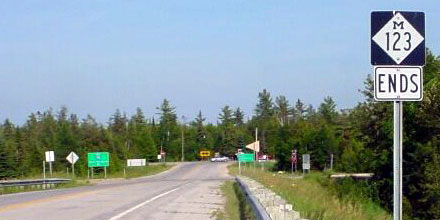 Mackinaw City is at the southern terminus of the Mackinac Bridge, which serves Michigan's Upper Peninsula. 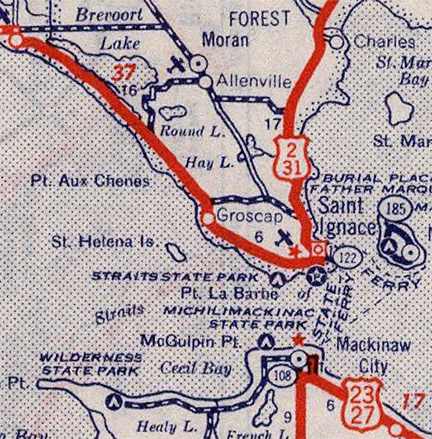 At the Bridge's dedication ceremony in 1958, each of Michigan's 83 counties chose a "Queen" to represent them; my very own mother was voted Miss Missaukee County. 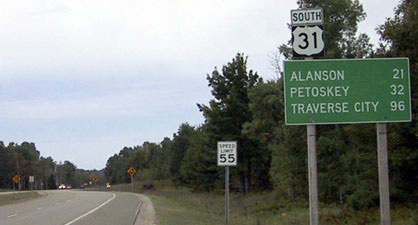 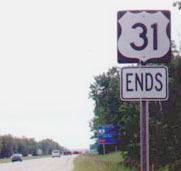 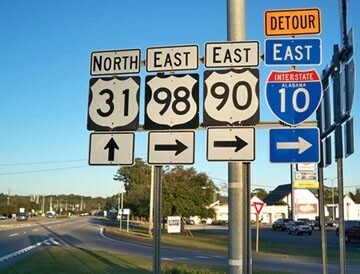 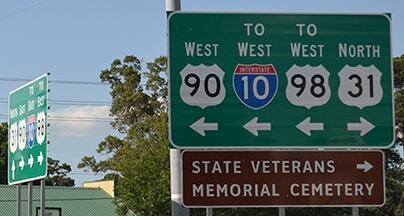 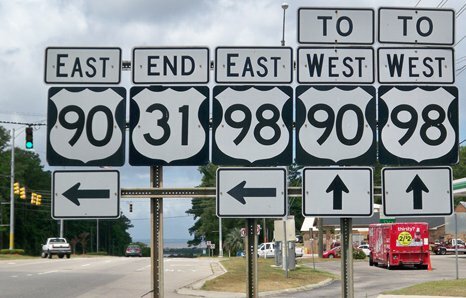 The south end of US 31 has always been at or near Mobile. 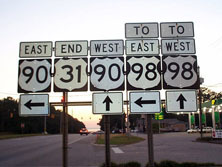 Before I-65 was built, US 31 was the main north-south highway in Alabama, connecting Decatur, Birmingham, Montgomery, and Mobile. 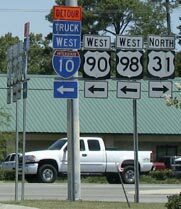 Today the two highways essentially parallel each other throughout the state, but a notable divergence occurs at Bay Minette, north of Mobile: whereas I-65 crosses to the north of Mobile Bay and then heads south into Mobile, US 31 heads south first to Spanish Fort. 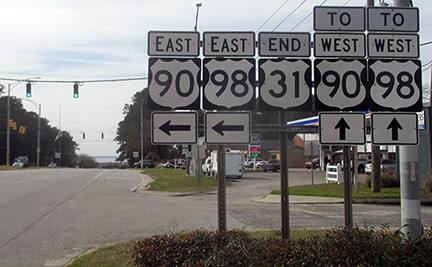 Behind the camera is Battleship Pkwy. 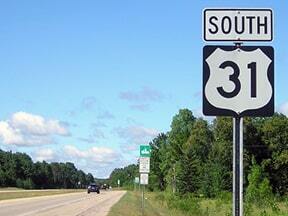 Today it carries US 90-98 traffic, but historically it also carried US 31. 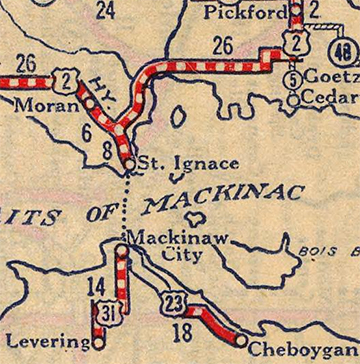 The Mobile page discusses the places where US 31 may have ended, back when it extended all the way to that city. 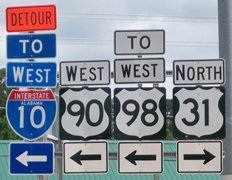 last updated Feb. 11, 2019.